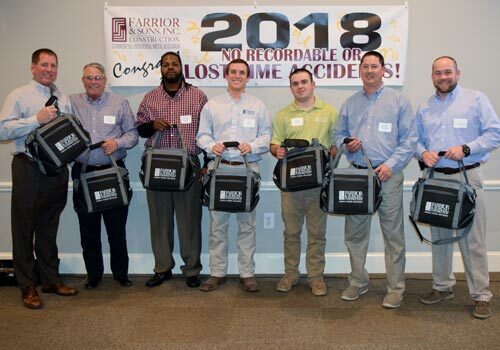 Home | Farrior & Sons, Inc.
Farrior & Sons, Inc. honored employees on January 31, 2019, at the Farmville Country Club for their achievements in safety and years of service in 2018. President, Bill Farrior, Jr. opened the festivities with comments on this special occasion and the company’s outstanding safety record. Bill Farrior, Sr. made a notable speech appreciating the company’s ambitious origins almost 60 years ago and was optimistic for what endeavors lie ahead. Farrior & Sons has now operated for more than 15 years without a lost time accident. “We are very pleased with all of our employees, especially with everyone’s commitment to safety”, Farrior remarked. The speaker for the evening was Mr. Larry Weaver, a comedian with a group called Trusted Speakers. Mr. Weaver treated the audience to humorous and wholesome entertainment while also highlighting the importance of maintaining a safety culture. Farrior & Sons, Inc. was recently awarded the TriSure “Safety Award” presented by John Cramer, CEO of TriSure Corporation. 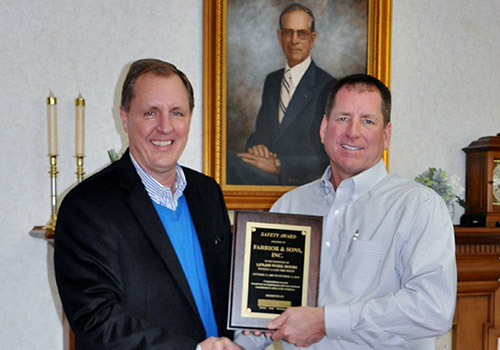 Farrior & Sons' ended their fiscal year by achieving 15 years, and 1,070,850 work hours, without a lost-time accident. This accomplishment could not have been attained without the tremendous amount of time and resources put forth by our Safety Committee. 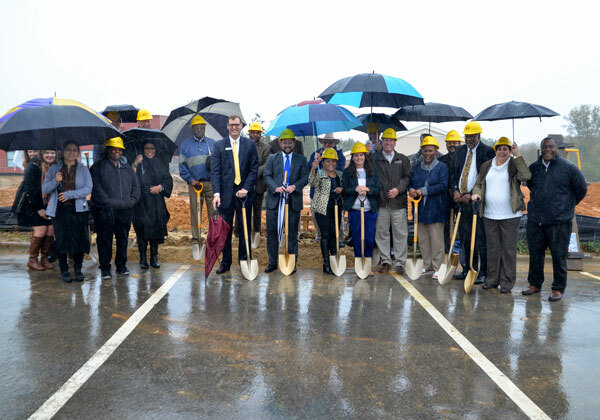 On November 15th, 2018, Farrior & Sons, along with Dunn & Dalton Architects, joined the Sallie B. Howard Youth Enrichment Program Board of Directors in the ground breaking for the new Sallie B. Howard High School for the Arts and Science. The new high school will be a 26,600 square foot addition behind their current school and will include a new band room, dance rooms, drama room, science rooms, classrooms and office. Along with the new addition, renovations will be made to the current classrooms and gymnasium to create a large art space for the high school. The building's construction consists of load bearing CMU masonry and wood trusses with a metal roof. The veneer will consist of brick, metal composite wall system, and aluminum storefront and windows. Construction of the new facility is expected to take ten months to complete. The new high school is expected to be completed in fall of 2019. 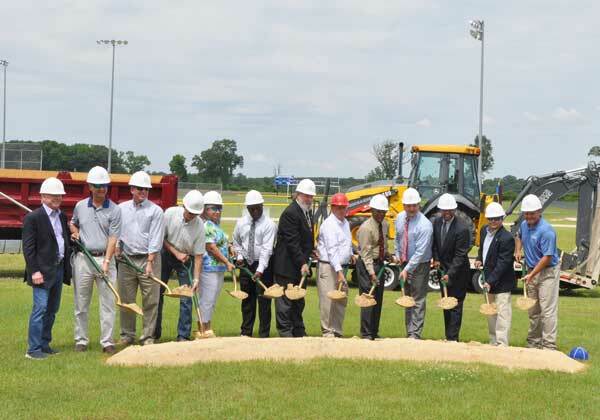 On May 24, Farrior & Sons along with Greene County officials celebrated the groundbreaking for the Greene County Health and Wellness Center at its future location within the 86-acre Greene County Recreational Complex on Kingold Blvd. Many local residents showed their support by attending the ceremony. Farrior & Sons was awarded to be the General Contractor for the highly anticipated multi-purpose wellness center in Snow Hill, NC. The $2.6 million project will feature a 27,000 square-foot facility that will include a basketball court/gymnasium, exercise and equipment room, elevated stage, multi-purpose classrooms, and locker rooms. As an added benefit, Architect, David Patrick Moses designed the building to serve as a disaster shelter for the area as well. Construction is anticipated to be finished within a year. Farrior & Sons is very excited to be a part of what will be an amazing contribution to the local community. The NCDOL Annual Safety Banquet, hosted by the Greenville-Pitt Chamber of Commerce, was held at the Rock Springs Center on April 19, 2018. This year, Farrior & Sons was pleased to accept a certificate of special recognition for the achieving One Million Hours worked without a lost-time accident. Farrior & Sons was also recognized by the North Carolina Department of Labor (NCDOL) for their safety record by receiving a Gold Award for the 10th consecutive year. For more than 14 years, Farrior & Sons, Inc. has worked without a lost-time accident. 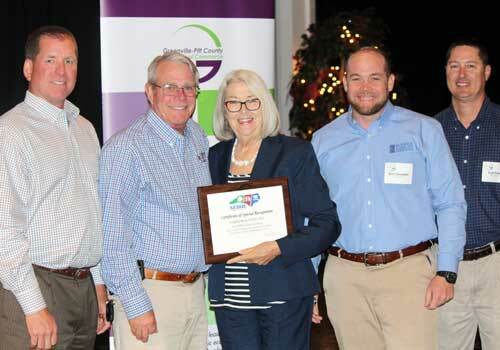 Bill Farrior, Jr., Mike Folen, Brett Davenport, and Scott Fussell represented Farrior & Sons at the annual event and accepted the award from NCDOL Commissioner of Labor, Cherie Berry. 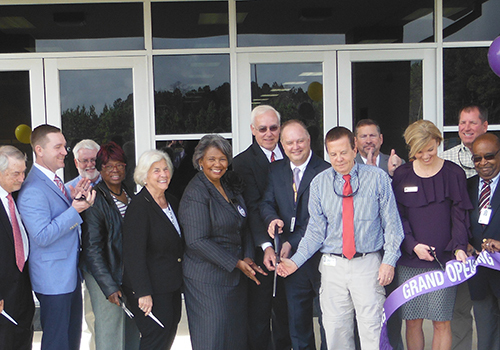 On February 22, 2018, a ribbon-cutting ceremony was held by Pitt County Schools Superintendent, Ethan Linker. School board members, educators, students and elected officials celebrated the opening of the new, state-of-the-art Phase II K-8 Building on the Chicod School campus located on Highway 43 in Greenville. As the general contractor, Farrior & Sons, Inc. was able to complete the project on budget and five months ahead of schedule. The architect for this addition was Hite Associates. The expansion included a 12-classroom wing, media center, gym with locker rooms and an Administrative Suite. The football field and parking lot were also relocated. The expansion totaled 61,000 square feet. It is a feeling of accomplishment for Farrior & Sons to be part of efforts to make a community better for its youth through modern facilities. Principal Mike Pollard commented that students will now be able to access necessary technology, which will better prepare them for life in the 21st century.